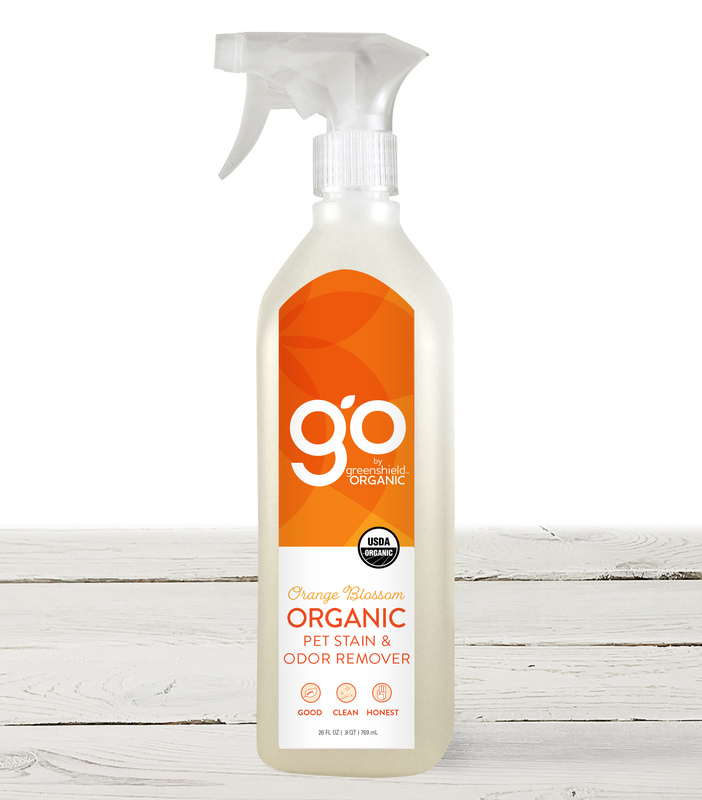 Formulated with safety and performance in mind, our USDA Certified Organic Pet Stain & Odor Remover eliminates tough stains and odors without the need for harsh chemicals. 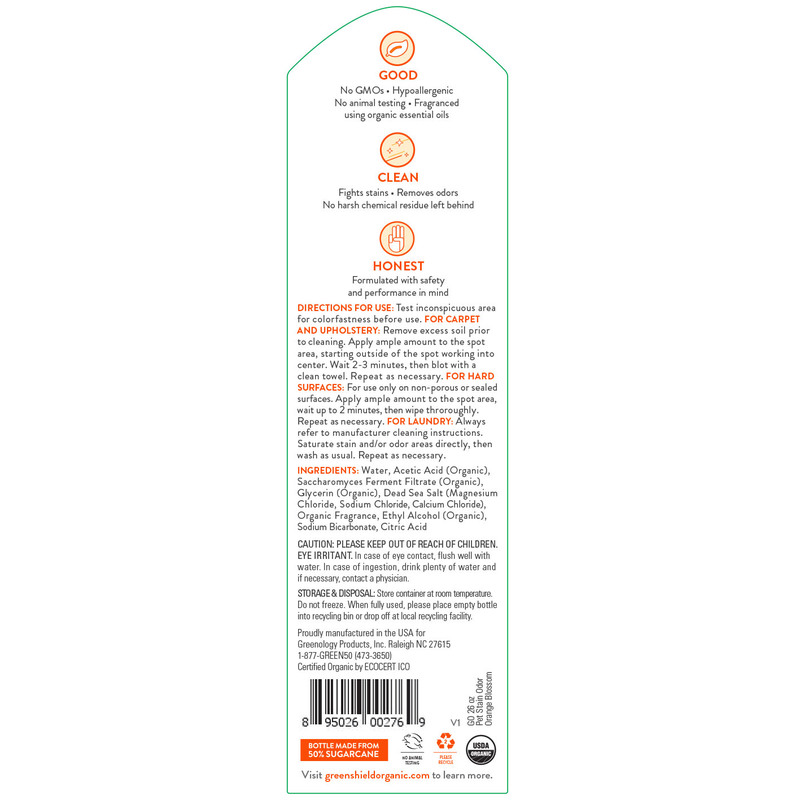 Proven effectiveness with pet-friendly ingredients keep your home clean and fuzzy loved ones away from questionable ingredients. Test inconspicuous area for colorfastness. FOR CARPET AND UPHOLSTERY: Remove excess soil prior to cleaning. Apply ample amount to the spot area, starting outside the spot working into center. Wait 2-3 minutes, then blot with a clean towel. Repeat if necessary. FOR HARD SURFACES: For use only on non-porous or sealed surfaces. Apply ample amount to the spot area, wait up to 2 minutes, then wipe thoroughly. Repeat as necessary. FOR LAUNDRY: Always refer to manufacturer cleaning instructions. Saturate stain and/or odor areas directly, then wash as usual. Repeat as necessary.